Since we are living more life online than the actual real life, the number of website sign ups, passwords and related data is increasing exponentially (okay, a bit of exaggeration). The problem is to remember all of that data or maintain a unique password for each website we use. With the new helpful features of iOS 7, the iCloud Keychain intends to help us with this woe of ours. iCloud Keychain remembers and syncs all of passwords, and other data across all our iOS devices including Macs. While you can go to this guide post to learn how you can setup iCloud Keychain and use it; this post will focus on another features of Keychain: how to generate passwords with iCloud Keychain. iCloud Keychain uses 256-bit AES encyrption to store and transmit your data and is amply secure requiring explicit consent when you add a new device. To generate passwords with iCloud Keychain, you can get stronger passwords. Here is how to get them. Open Settings, navigate to iCloud > Keychain and make sure it’s enabled. Open Safari and visit the site you want to sign-up for and get iCloud to generate password. Enter all the sign up form information; when you come to the password field, you’ll see a Suggest Password button just above the keyboard. Tap on that button and a popup with the suggested password would appear. If you’re okay with the generated password, tap on Use Suggested Password. 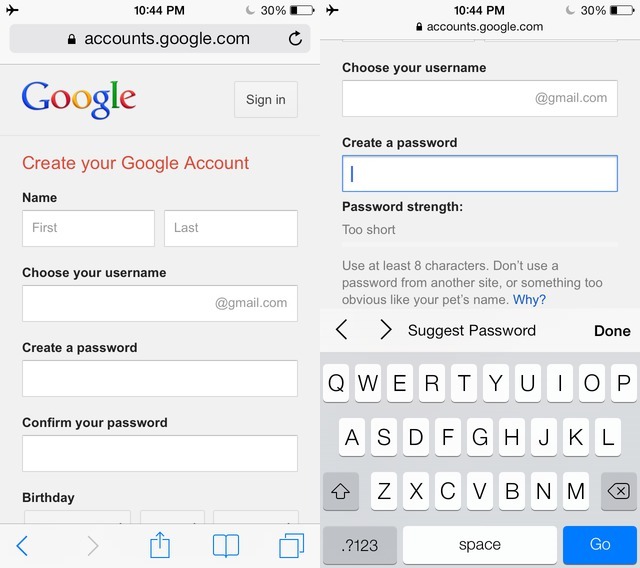 This new password will be autofilled for you and synced across all your devices. In case you have to use certain website on Android or Windows, you can get the auto-generated password from Safari’s settings. Go to Settings > Safari > Passwords and AutoFill > Saved Passwords. Here, tap on the website you want to see the password for, enter your passcode and you would be able to see it.